Exit Archaeology is a 48-page diary of working on a dig in Greece in 2017. 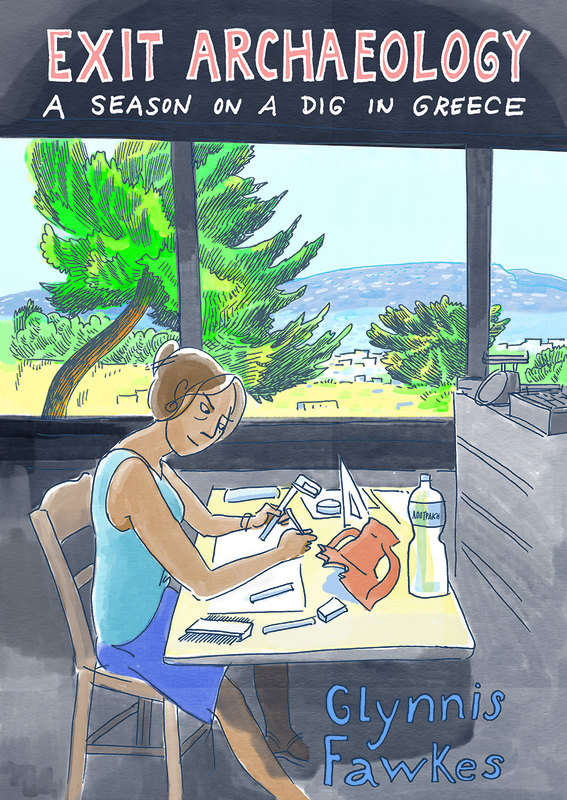 The comic chronicles daily life on an excavation in Greece: the job of drawing amphora fragments, avoiding dogs while running, swimming with jellyfish, what other people are having for breakfast, and the question of whether I will go back to this work again. This minicomic follows Greek Diary, a 250-page diary of a dig/travelogue/memoir from 2016 and winner of the MoCCAfest Silver medal in 2017.